In the 21st century, advanced technology makes nearly everything possible. So if you have heard that it is not plausible to upgrade your laptop’s graphics, then there’s good news for you. Although not very easy, there are definitely ways to use an external graphics card for your laptop, to make it the ultimate gaming machine. You will certainly have better speed and a more thrilling gaming experience. However, a word of caution to all those who are not well versed with tampering with the insides of your laptop. Be careful about what you’d do. If you are a novice, we recommend that you do some basic research about this DIY process; you will have loads of tutorials and help communities to help you through this basic procedure. Note: Please remember that the warranty becomes void as soon as you open it up. The other thing before you use the external graphics card is to be sure of the tech specs of your machines so that you can figure out the compatibility issues of the peripherals easily. Now that you are aware of all the possibilities, let us take a look at the list of popular external graphics cards for laptops. 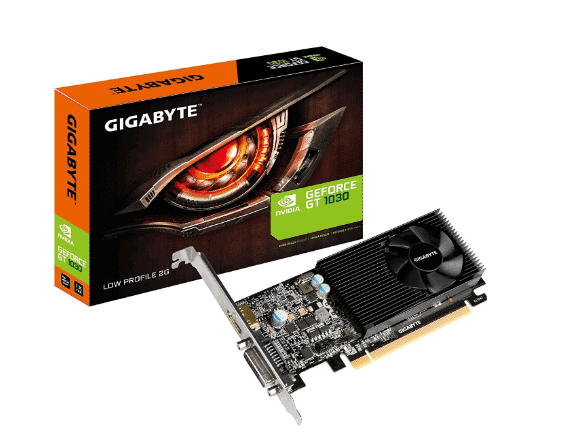 GIGABYTE GeForce GT 1030 external GPU comes with Core Clock(MHz) 1506 in OC Mode and 1468 in Gaming Mode. It has a minimal and low profile design with 150mm card length. The card is integrated with 2GB GDDRS 64 bit memory. The graphics cards interface is PCI-E. The memory clock speed is 6.008 MHz. You can place this external graphics card in any PCI Express x16 slot. You can find its manual on Amazon site. 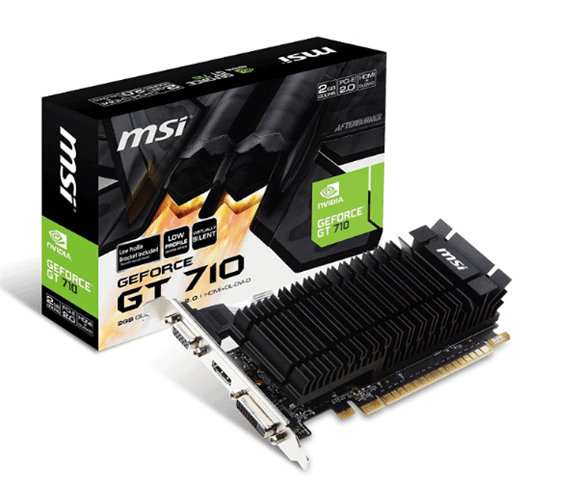 MSI GAMING GeForce GT 710 gpu comes with 2GB GDDRS video memory and 64-bit memory interface. The memory speed of this external graphics card is 954 MHz. This graphics card consumes only 20W max power supply. It gets all its power from the PCI-Express bus. It comes with a low profile adapter and works fine in a PCIe 16x slot. You have the user manual which you can refer to getting started with it. 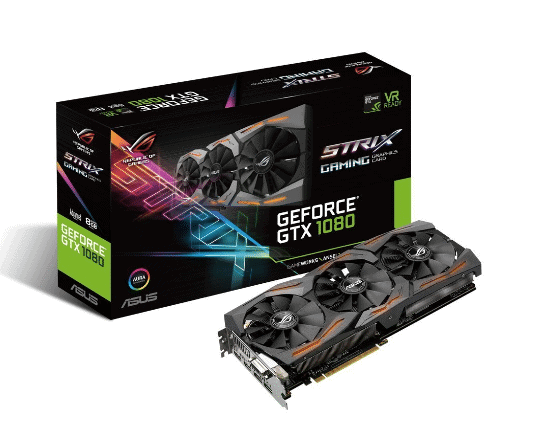 The ROG Strix GeForce GTX 1080 laptop graphics card comes with exclusive ASUS technologies that include DirectCU III with Patented Wing-Blade 0dB Fans for 30% cooler and 3X quieter performance. The Aura RGB Lighting enables great customization flexibility. The VR-friendly HDMI ports allow you to enjoy immersive virtual reality experience to the fullest. It features 1733 MHz Boost Clock with Super Alloy Power II Delivery, DirectCU III with 0dB fan technology. 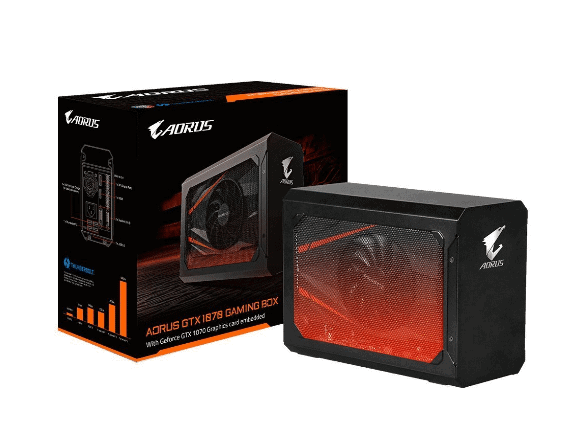 AORUS GTX 1070 Gaming Box helps you turn your laptop into a gaming platform. It is powered by GIGABYTE GeForce GTX 1070 overclock edition graphics card. This external graphics card successfully delivers a good performance for graphics and VR-ready games. With its unique thermal and overclocking technology, you can enjoy high performance in a quiet environment. It features Thunderbolt 3 plug and play and supports quick charge(QC 3.0). 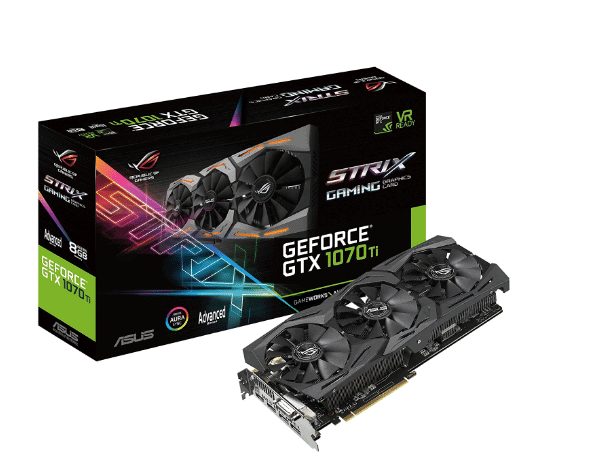 ASUS ROG Strix GeForce GTX 1070 Ti features 8GB GDDR5 256-bit memory powered by NVIDIA Pascal. The MaxContact technology delivers better cooling efficiency, and the Auto-extreme manufacturing with Super Alloy Power II component ensures the premium quality and reliability. The ASUS Aura Sync RGB lightning on the shroud and backplate renders a solid spectrum of colors that can synchronize effects across Asus Aura Sync enabled products. The patented wing-blade fans deliver maximum airflow. The fan also operates at an up to 3X quieter volume than other cards. This too is a popular external graphics card. We do hope that you found this list helpful, even if you are not an advanced gamer. Do share your thoughts if you would like to share some more recommendations for external graphics cards for your laptop.